NOURISH is your best, most convenient, and most economical choice for purchasing nutrition supplements. 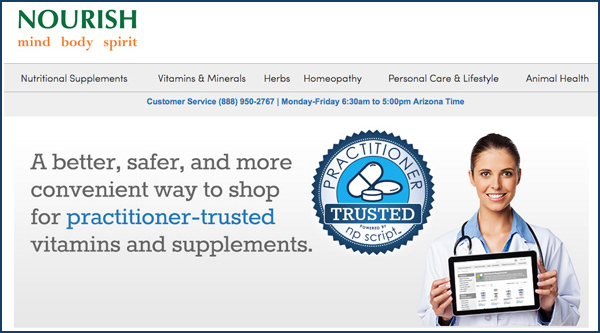 We carry only the highest quality supplements at NOURISH. Each and every one of the supplements we sell is personally approved by our Nutritionist and Registered Dietitian, Jocelyn Dubin MS, RD. She rigorously scrutinizes brands, lines, and individual ingredients to make sure you are getting exactly what you need and none of what you do not need. Need nutrition supplements? Not sure which brand is best? Want to buy from a trusted source? Access Jocelyn-approved nutrition supplements from either of NOURISH's nutrition dispensaries below. It's like shopping at NOURISH without leaving your couch. Click on either of the dispensaries below to access the store. 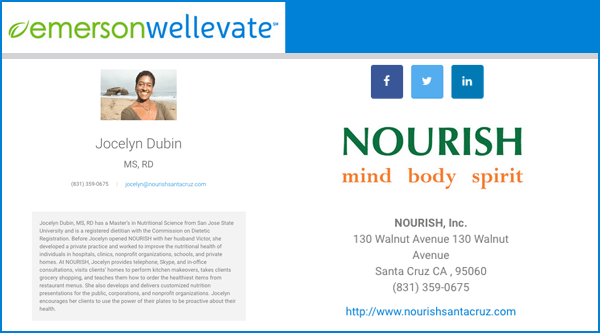 If you have a drawer or cabinet full of supplements, or are just being bombarded with conflicting information about what you need, then you will benefit tremendously from a consultation with NOURISH's Nutritionist and Registered Dietitian, Jocelyn Dubin MS, RD. "I don't think it's an exaggeration to say that Jocelyn helped give my son's life (health) back to him. We went to so many docs for so many (needless) tests, when what we needed was someone to really listen, help us identify the true problem, and step us through the process of getting him back on track with a new diet. He's like a new kid; so happy and energetic and confident. We're so grateful for Jocelyn! Thank you!"